Strong indication emerged Sunday that Nigeria’s drive to rice self sufficiency and backward integration in rice production are under serious threat of collapse if urgent steps are not taken. This is coming from the national chairman of Reformed All Progressive Congress (R-APC), an in-house opposition faction of the ruling All Progressive Congress (APC), Engineer Buba Galadima, who has revealed how leading rice exporting countries allegedly infected blossoming rice farms across several states with killer-virus so as to continue to maintain their market share in Nigeria. He said the virus attack has lead to unprecedented drop in improved rice yields this year for Nigerian farmers. Leading rice exporting countries to Nigeria include Thailand, India, China and Brazil, but the vociferous politician did not pinpoint the exact source of the rice-killer virus. Speaking on an AIT political programme monitored in Lagos on Sunday, Galadima disclosed that several rice producing states are currently suffering outbreak of a strange virus that is yet to have a remedy, but the authorities and Minister of Agriculture and Rural Development has not found the courage to open up to Nigerians what rice farmers are suffering. 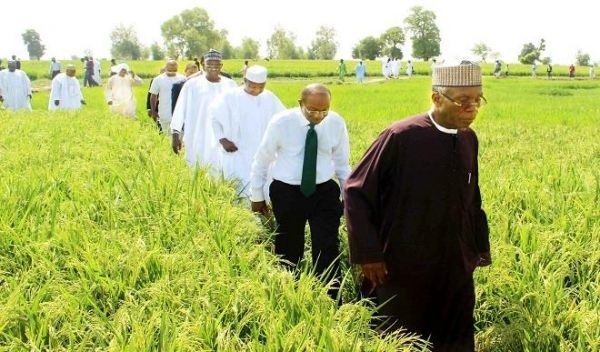 According to him, rather than run around to find a solution to the rice virus, the minister had remained silent as no genuine efforts are being made to fight the menace as risen local rice production continue to dwindle. He noted that yields across states this year will be the most discouraging considering the fact that no state was spared in the infection of the strange disease. He listed some of the states affected to include all northern rice states, Ebonyi, Anmbra and others. During the course of the TV programme, Galadima disclosed that while he was studying engineering during the early 70s at ABU Zaira, the Minister of Agriculture was studying French in the same university and queried the rationale in appointing him as a Minister in a clearly professional sector. Checks at several selling points for Lake Rice in Lagos since last week showed that the product which was a result of collaboration between Lagos and Kebbi states are no more available. It was not however clear if the virus affected rice farms in Kebbi State. Since recently, foreign rice has resurfaced large numbers and dominated Nigerian markets. It was not clear if it was the impacts of the virus that collapsed projected rice yields by several beneficiaries of the Central Bank of Nigeria’s (CBN) Anchor Borrower Programme (ABP) in many of the state leading to their current inability to repay their loans. The apex bank had few weeks ago, decried the inability of ABP beneficiaries in repaying their loans. However, just as the visibility of local rice has dropped marginally across Nigerian markets, there had been upsurge in foreign rice, thus casting doubts on the ability of the Nigerian Customs Service (NCS) in truly tracking the activities of rice smugglers.